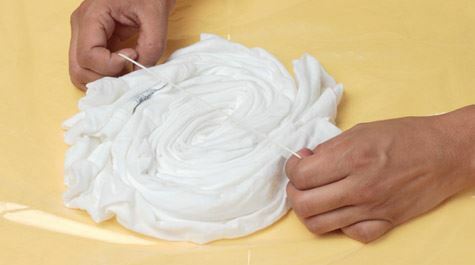 Pinch fabric at the center of where your spiral will start. 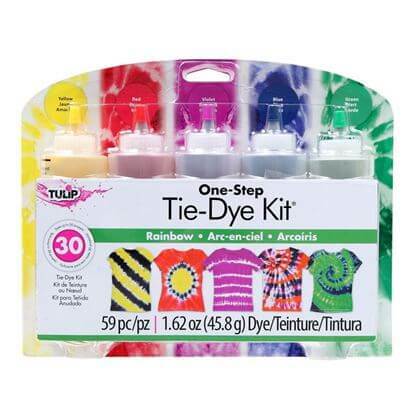 Twist until all fabric is in a spiral shape. Bind spiral with 3 to 4 rubber bands, overlapping rubber bands to create 6 to 8 wedge shapes. 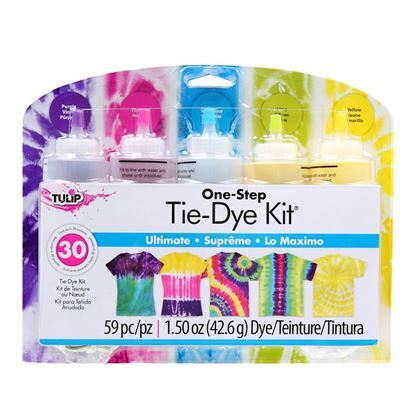 Apply desired Tulip One-Step Tie-Dye colors to wedge shapes. Flip spiraled fabric over and repeat on backside. 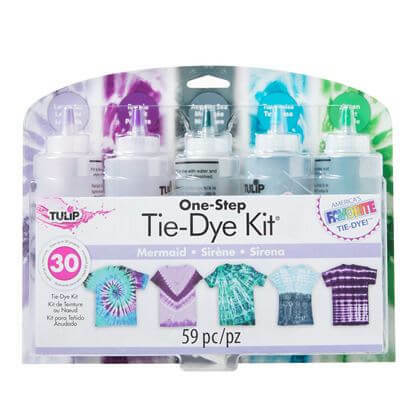 Get your 5-color tie-dye kit and get started! 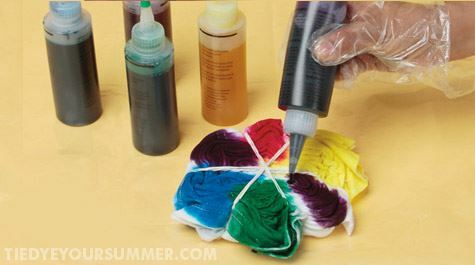 Ocean-themed shades of lavender, purple, Aegean Sea, turquoise and green tie dye - just add water!